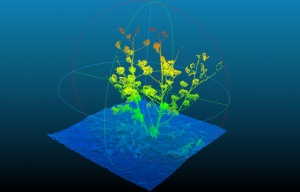 The modern agri-food system generates large amounts of structured and unstructured data in areas such as precision agriculture, crop and weather-based modeling, imaging and sensing, -omics technologies, and food consumer analytics, yet current graduates often lack the integrative skills to manage, mine, and interpret the resulting data streams. The purpose of the Agricultural Data Science certificate program is to produce graduates capable of bridging the gap between the generation, analysis, and interpretation of big data in the agricultural sector. Students with these skills will be critical for improving communication between data generators (agricultural and biological scientists) on the one hand, and data specialists (computer scientists and statisticians) on the other. A Graduate Certificate is similar to a minor and is designed to complement a student’s major program of study. This program is open to enrolled, degree-seeking graduate students at the University of Georgia. The curriculum is highly interdisciplinary. Two required core courses integrate analytical approaches and case studies from a range of disciplines. A capstone seminar features intramural and invited speakers across disciplines and industries. Elective courses are drawn from four different colleges and two Institutes. The curriculum has been designed such that prerequisites for core and elective courses will not be prohibitive for students coming from a range of different disciplines and graduate majors. 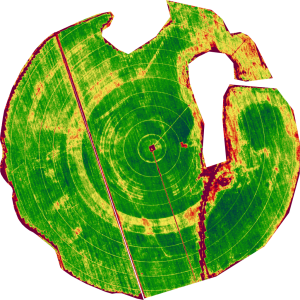 Read the news release about the launch of the Agricultural Data Science program (June 2018).